Dr. Arek Dudek is a medical oncologist at Regions Hospital Cancer Care Center in St. Paul, Minnesota. He has spent much of his career researching more effective ways to treat his patients. Dudek started the Metro-Minnesota Oncology Research Consortium, which includes an early-phase clinical trial program. His aim is to uncover and develop new therapies for a variety of cancers, including malignant pleural mesothelioma. His work is making a difference today. Dudek is currently the principal investigator in two clinical trials involving pleural mesothelioma. One of those trials is exploring the synergistic effect of the immunotherapy drugs nivalumab (Opdivo) and ramucirumab (Cyramza) for previously-treated mesothelioma patients. 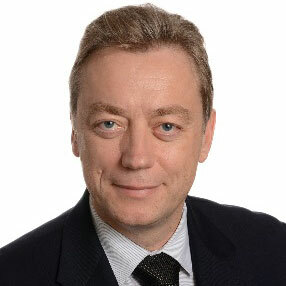 Dudek has carried an interest in the molecular and cellular biology of cancer since graduating from the Medical University of Poland in 1989. He did his residency in internal medicine at the Pinnacle Health Hospitals in Harrisburg, Pennsylvania. He completed his fellowship in hematology at the University of Minnesota. He then spent four years at the University of Illinois College of Medicine in Chicago. There, he developed another highly regarded cancer research program before returning to Minnesota in 2016. Contact Arek Z. Dudek M.D. Throughout his career, he always was moved by the number of cancer patients who came to him after chemotherapy had failed elsewhere. His passion to help patients, and the bonds he developed with those patients, has prompted many to stay under his care, regardless of his location. Patients throughout Minnesota followed him to Chicago. And now many of his Chicago-area patients are still seeing him in St. Paul, Minnesota. Dudek has written several book chapters on targeted cancer therapies and tumor biology. He has been published more than 100 times in peer-reviewed journals on kidney cancer, lung cancer and melanoma. Disclaimer: Dr. Arek Z. Dudek has no professional affiliation with Asbestos.com. HealthPartners Institute. (n.d.). Arek Z. Dudek, MD, PhD.